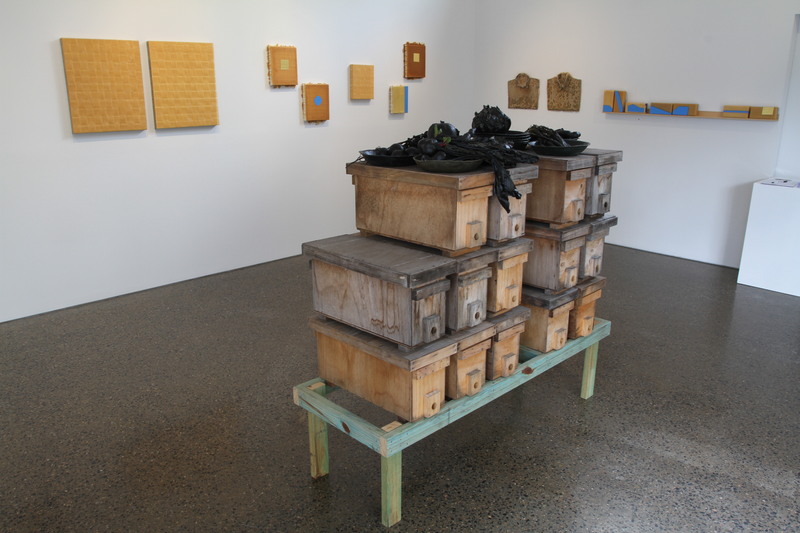 Franz Ehmann has been using beeswax in his work since the late 1980s, but has been beekeeping for just two years now. When I visit his studio (underneath his high-set home in suburban Brisbane), lavender, bottlebrush and Thai basil plants are in flower in the backyard. The bees’ favourite is the Grevillea plant, which blooms in summer—they get ‘drunk’ on its sweet nectar, Ehmann tells me. 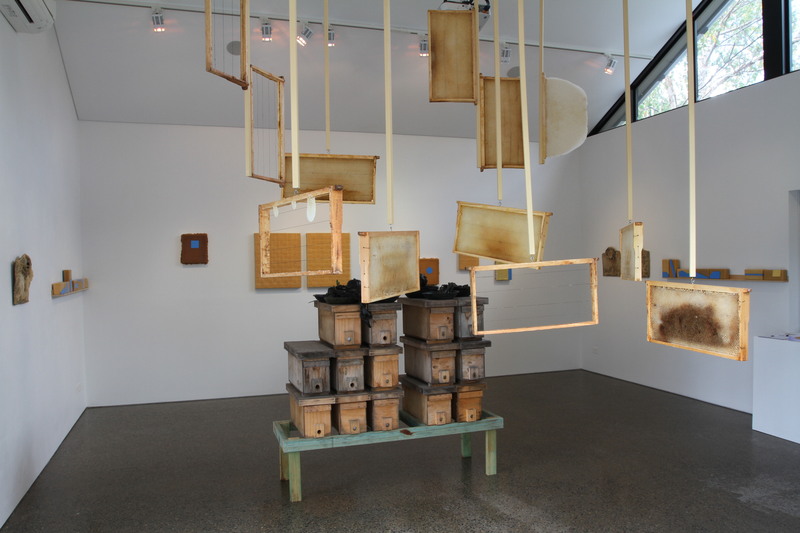 The artist estimates that he has about 60,000 bees (apis mellifera) in each of his three hives: one in his backyard, the other two at a friend’s property in Pullenvale. 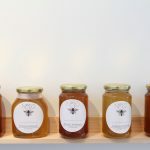 Over summer, honey production was at 20 to 24 kilograms every four or five weeks. It has slowed now that it’s getting cooler in the mornings, and the bees have started closing down holes to insulate the hive, in order to maintain an ideal temperature of 34 degrees. The bees build their hives with incredible precision and efficiency. Their instinctual processes are ingenious. In fact, the hexagonal shape of the honeycomb is proven to be the most efficient use of space and materials over any other shape, as it allows for cells with a maximal volume and a minimal perimeter. Charles Darwin discussed honeybees’ use of the tessellated shape, commenting that it is ‘absolutely perfect in economising labour and wax’. It is no wonder that humankind has borrowed this structure for many engineering and scientific applications throughout the world. 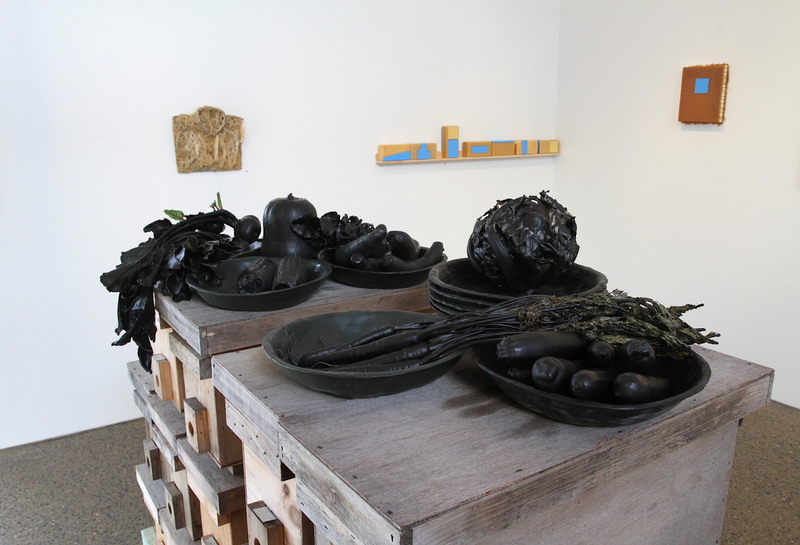 There is a duality between the organic and the manmade in Ehmann’s recent body of work. 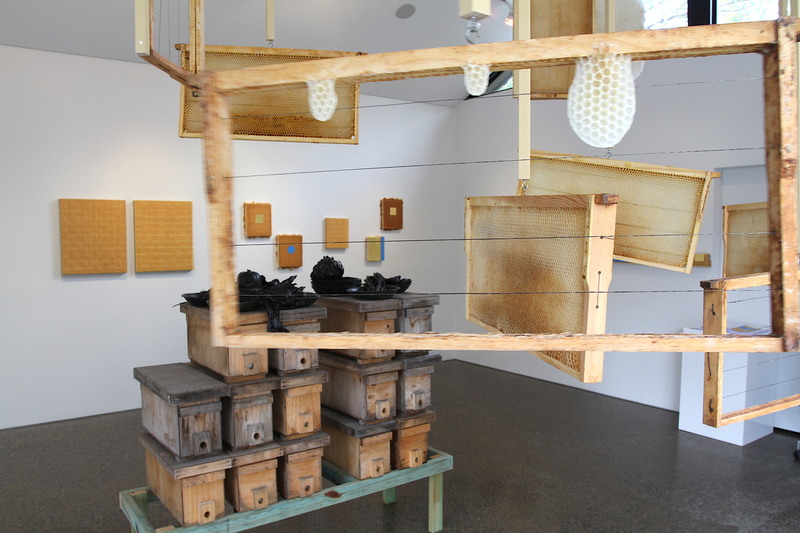 As with beekeeping, natural and manufactured processes come together in the artworks on display. 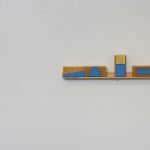 Fourteen (Here, where everything lands) is a series of wax blocks, which the artist has marked with abstract shapes, resembling silhouettes of buildings or sectional views in technical drawings. The number of blocks—fourteen—has significance. The artist grew up in an area of western Austria whose borders were contested following World War II, leading politicians to propose a fourteen-point plan to regain order. Struck by the arbitrariness of this figure, Ehmann delights in happening upon the number fourteen in everyday life. 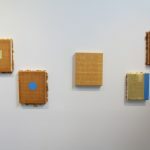 He incorporates it into many of his works as an expression of seemingly logical anti-logic; it gives an illusion of structure and order in what is a largely organic process. 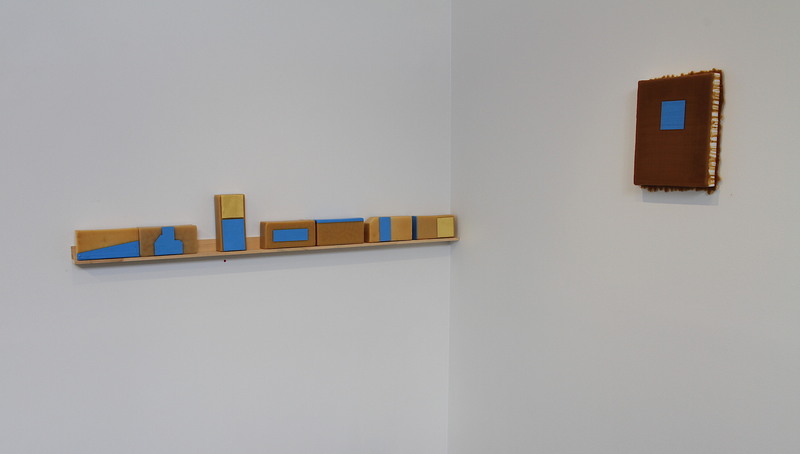 The blocks themselves—solid rectangular prisms, each weighing one kilogram—could be likened to robust minimalist sculpture. 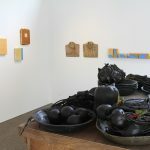 Resting on wooden and steel shelves, the organic wax blocks are at odds with the manmade structures that support them. Or are they more alike than we think? 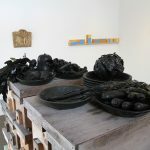 After all, as the artist reminds me, steel is extracted from soil, and wax is more or less ‘extracted’ from bees. 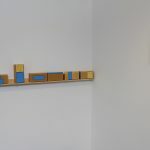 Both block and shelf are products of nature affected by human intervention. These particular blocks of wax were not harvested from the artist’s hives, but were purchased commercially. Beeswax is commonly used in the production of food, cosmetics, pharmaceuticals and many other products. Indigenous peoples traditionally used native sugarbag beeswax for mouthpieces on didgeridoos, and in Europe beeswax was considered a unit of trade for centuries. Beeswax has a low melting point, it is water-resistant, and it can be heated and reused over and over again. 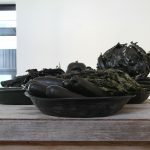 One can appreciate why Ehmann continues to work with this highly versatile material, which speaks to his broader artistic concerns relating to food production and its waste. 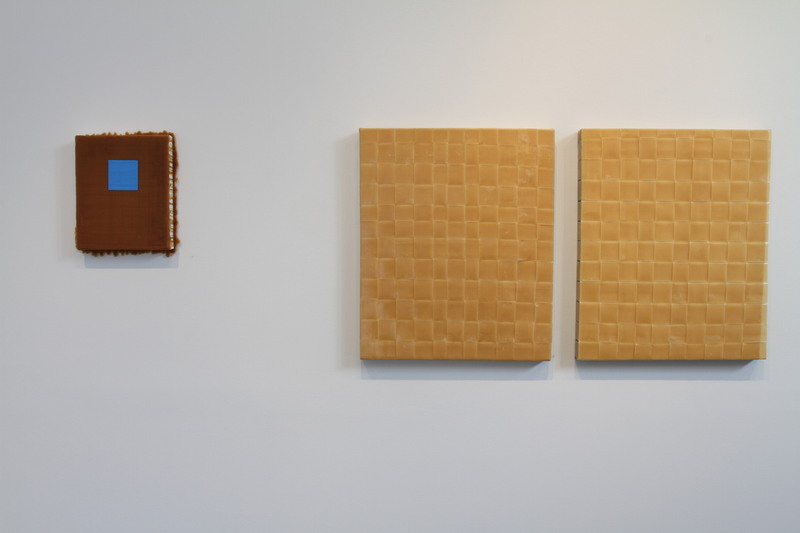 In his works, always-again-for-only-once and always-again-for-only-once #1, the artist has adhered woven sheets of wax to canvas, resembling monochrome chessboards. 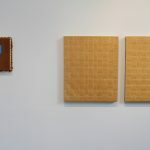 The gridded forms give rise to principles of twentieth century art, such as rationality and structure, while their materials challenge the traditional oil-on-canvas medium. 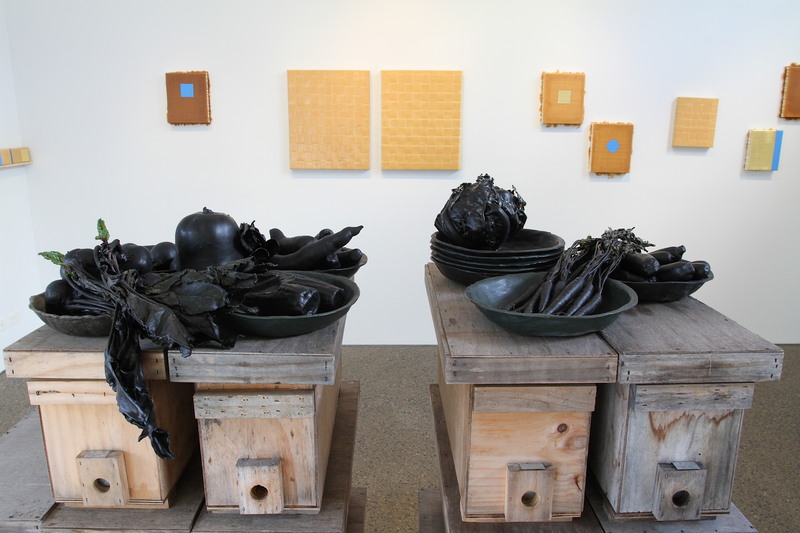 The wax affords a conceptual softness that counteracts the rigidity of the work. 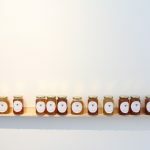 In a sense, these works are created through a collaborative process between the artist and the bees. 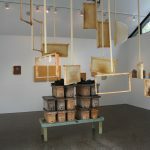 The bees conscientiously build their wax structures, then the artist undergoes a several-step process of extracting, washing, heating, straining and cooling the wax. Once the wax is free from impurities, Ehmann liquefies it again to form a thin sheet, which he slices into long strips to be interlaced together to form the woven surface on the canvas. I imagine Ehmann’s training as a chef equipped him well for the dexterous task of slicing each piece of wax and manipulating it to sit just so. In the production of works like Fourteen days, Ehmann’s role is more that of a facilitator. First, he neatly folds his old collared shirts, then attaches foundation sheets, before inserting the shirts into the hive so that they sit vertically, alongside the other standard frames. The bees do the rest. 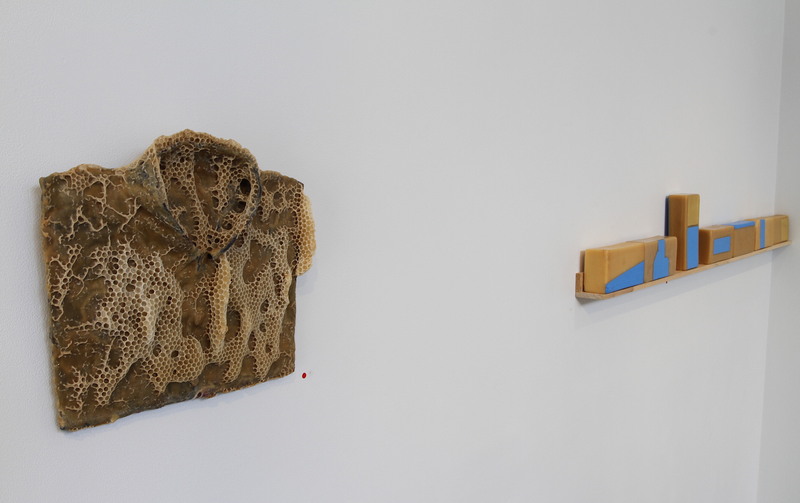 After fourteen days in the hive, the shirts become overgrown with honeycomb structures that sprawl like coral outcrops. Entombed in wax, the domestic objects take on an ethereal quality, and the complex system of tunnels that the bees create has the intricacy of Gaudí’s Sagrada Familia. 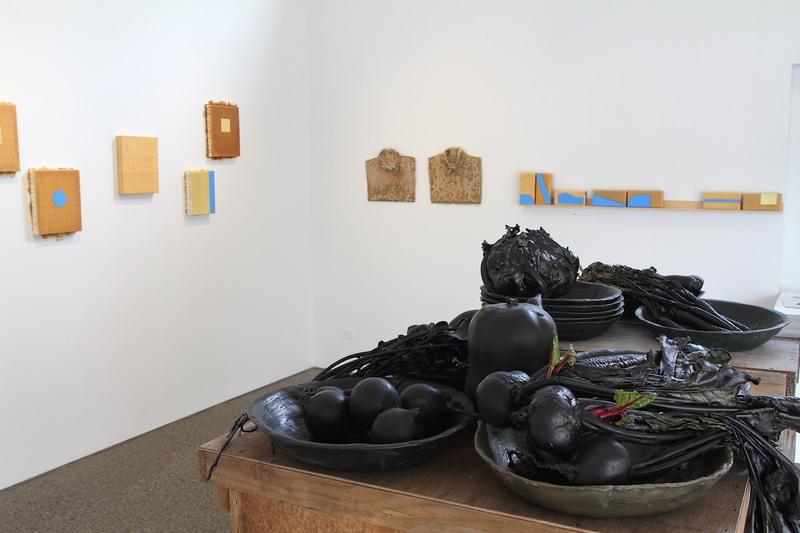 There’s an interesting relationship between process and commodity in this body of work, particularly in Fourteen (a taste of history). 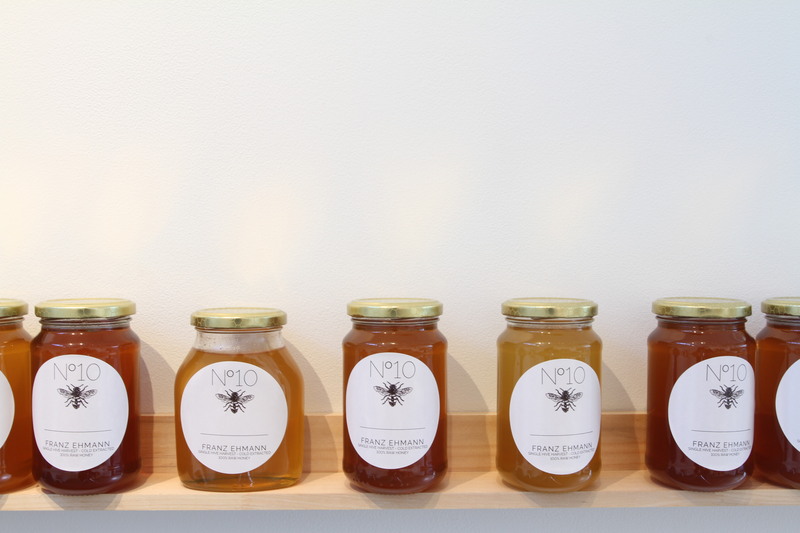 In the artist’s words, he ‘robs’ the bees’ honey, which he bottles and sells at standard market prices. 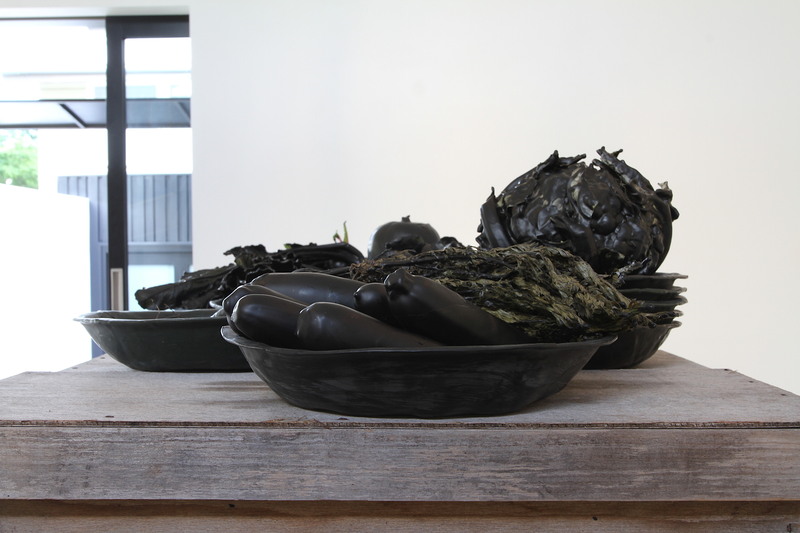 Here in the gallery, however, the jars are presented as artworks, thus taking on cultural value according to Duchampian principles. 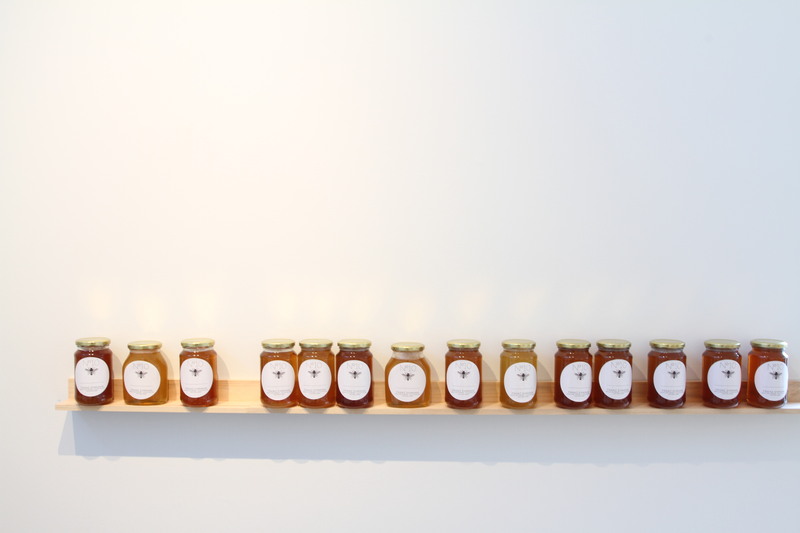 The labels on the jars are a nod to the objects’ other life as commodities, raising questions about labour, ownership, commodity and value. The honey wouldn’t exist without the bees’ labour, but the honey wouldn’t be available (as food product or as artwork) without the artist. 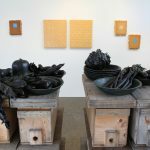 Unlike in our traditional understanding of the relationship between artist and artwork, these objects aren’t produced by the ‘genius’ artist in a conventional studio. 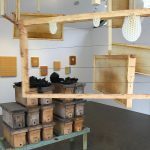 Ehmann explains, ‘Beekeeping is all patience, waiting and observation; a kind of laziness that I have as the bees do all the work.’ The artist’s hand is removed almost entirely, and the bees act like a production line. Working in this way requires an element of trust in the medium, as the results can be unpredictable. 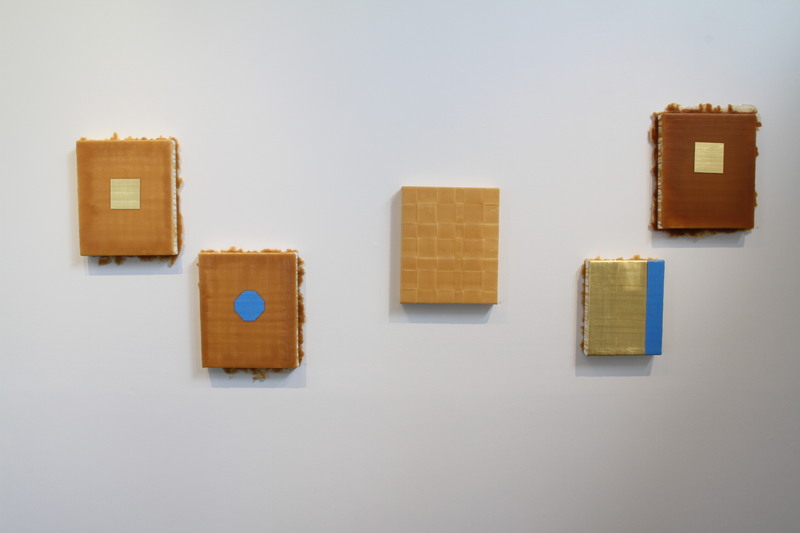 For Ehmann, small revelations that manifest in the art-making process become metaphors for larger humanistic concerns. 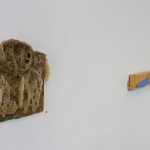 Using humble materials and personal items, the artist poses philosophical questions about the duality of process and commodity, labour and value, nature and the manufactured, the organic and the structured. 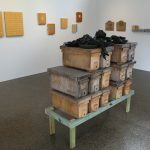 The exhibition’s title, Here, Where Everything Lands, acknowledges the element of chance, and articulates an acceptance of things over which we have no control. In Peterson, Ivars. “The honeycomb conjecture,” Science News, 156 (4), (24 July, 1999), p.60-61. Foundation sheets are wax sheets moulded with a honeycomb pattern, in order to provide bees with a foundation on which to build the honeycomb faster and more efficiently. Ehmann, Franz. 2017. Personal communication.